Disney’s “Shake It Up” child star Zendaya, 17, and singer/songwriter Tori Kelly, 20, were the headliners at Saturday’s 20th Annual Dream Halloween at the Barker Hangar in Santa Monica, CA. Dream Halloween benefits Keep a Child Alive, a charitable organization that provides dignified treatment, care and support to children and families affected by HIV. Rocking the #UrchinsProject on the Dream Halloween Red Carpet was “Girl Meets World” cast: Sabrina Carpenter, Rowan Blanchard, August Maturo, and Peyton Meyer. Photo Courtesy Elizabeth Blanchard Instagram. Guests enjoyed live performances including a special show from Le Petit Cirque. Unique activations filled the hangar, including a 3D Bat Cave housing the authentic Batman Tumbler (featured in films), racing on a 40-foot Hot Wheels track, face painting by MAC artists and opportunities to take photos with character favorites including Barbie, Po from “Kung Fu Panda”, Alex from “Madagascar” and good old Mr. Potato Head. The Dream Halloween event was created back in 1994 by the Children Affected by AIDS Foundation (CAAF) and has since raised more than $16.2 million in support of children affected by HIV! Keep a Child Alive was proud to acquire CAAF in 2012 and continue the legacy of Dream Halloween. Over the last twenty years, mother-to-child transmission of HIV has become almost unheard of in the United States. However, the need for support is still urgent in countries that Keep a Child Alive serves: Rwanda, Uganda, Kenya, South Africa and India. Mattel, Inc. is the Founding and Presenting Sponsor of Dream Halloween. Other generous sponsors include American Airlines as the Exclusive and Official Airline of Dream Halloween, HisVision Foundation, Nickelodeon and Arey Jones Educational. This year, Keep a Child Alive is pleased to honor HIV/AIDS activist Cristina Jade Peña with the charity’s inaugural Joe Cristina Humanitarian Award, named after Joe Cristina, Founder of the Children Affected by AIDS Foundation (CAAF) and current member of the Keep a Child Alive Board of Directors. Peña became an HIV/AIDS advocate and educator when she was only 10 years old, shortly after learning she had been born HIV positive. Peña attended Dream Halloween herself as a child from 1997 through 2001. Her many achievements include collaborating with the White House Office of National AIDS Policy to craft policy recommendations specific to youth and HIV/AIDS, serving as an Ambassador to the Elizabeth Glaser Pediatric AIDS Foundation, and participating in the Empowered Campaign featuring Alicia Keys, Keep a Child Alive’s Global Ambassador. In July 2012, she was invited to meet President Obama at the White House Reception: “Courage on the Frontlines,” celebrating people living with HIV/AIDS and leadership in the fight against AIDS. She is now working with Keep a Child Alive to build a dialogue between young people living with HIV in the United States and Keep a Child Alive’s local partners in Uganda, Rwanda, and South Africa. She graduated from USC in 2007 with a Bachelor of Arts in Communication & Journalism and is currently enrolled in a Master’s program in Public Policy at the University of California, Berkeley. “Dream Halloween carries so many special meanings. It’s about family and friends, having fun and building memories, and about people coming together in support of children affected by HIV,” said Peña. “Dream Halloween is very much a part of my childhood and I am so proud to be honored at this event, and to know that together we are helping children to access the care and treatment they need to become healthy adults.”Keep a Child Alive has partnered with online auction house Gavel & Grand, to allow supporters to bid from afar and in advance on auction items for Dream Halloween. The auction will feature amazing opportunities such as a four-night stay for two at the beautiful Grace Bay Club in Turks & Caicos and four VIP Meet & Greet concert tickets with the fabulous Ariana Grande. Dream Halloween’s performer, Zendaya, became a favorite amongst millions of fans worldwide with her role on “Shake It Up.” She is now beginning her biggest and boldest chapter with the release of her self-titled 2013 debut album for Hollywood Records. Her debut single “Replay” proved to have seismic impact. Its music video garnered more than 4 million YouTube/VEVO views in merely four days. The remix debuted at #2 on the Billboard Dance Chart, proving she has made her imprint in music. 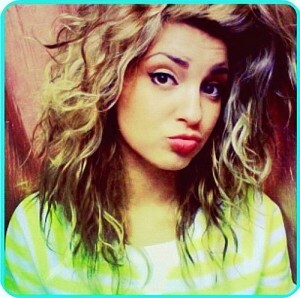 Performing along with Zendaya, is 20-year old singer/songwriter Tori Kelly. Kelly started writing songs in the bedroom of her Southern California home and when she began sharing those songs online she quickly won over internet audiences with her YouTube channel boasting more than 50 million views and 600,000 subscribers. Tori is set to release her second EP, FOREWORD on October 22nd and will follow the release with a North American tour that kicks off October 28th in Los Angeles. Additionally, Kelly will perform to a sold out crowd at Madison Square Garden on November 1st when she opens for Ed Sheeran.